How high are realtors´ and lawyers´ fees in Italy? What about other property purchase costs? 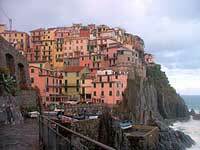 The first step to purchasing property in Italy is to hire a real estate attorney, to protect your interests. Although the real estate transfer process is a regulated process, it is potentially biased against the buyer. Keep in mind also that Italian law provides for pre-contractual liability. In the event that you feel aggrieved by the seller´s unfair behavior, you can file charges to be reimbursed for expenses. For old properties, registration tax is 3% for those buying their main home, under law 1089/39. The home must be located in your present or future comune of residence (or in the comune where you have or plan to have your main place of business) and it must not be classified as a ´luxury´ home. The registration tax for nonresidents and those buying second homes is 7%, so if you´re planning to become a resident in Italy, do so 18 months before buying your home. The tax is calculated on the declared value of the property and not on the purchase price. VAT is levied at 4% for first-home resident buyers, at 10% for second-home and nonresident buyers, and at 22% on luxury homes with a rating of A1 in the Property Register. New properties are defined as those dwellings sold within five years of completion of construction or restoration. The VAT rate will be increased to 24% in 2016, and then to 25% to 2017, and then to 25.50% in 2018. The notary fee is payable when you sign the final contract. There are widely varying estimates and everything is up for negotiation, but €2,000 for a property costing €50,000 up to €3,500 for property costing €500,000 might be typical, including the cost of the fee of the conveyancer (geometra) which is levied depending on work, and can itself vary from €500 to €3,000. Conveyancing is usually performed by a lawyer (avvocato) and the legal fees are usually around 1% to 2% of the declared price of the property. Legal fees are subject to 22% VAT. A preliminary contract or a compromesso is drawn up by the seller, his attorney, or real estate agent. Hence, the buyer may opt out of paying the legal fees. The buyer is in any case protected by the public notary. The public notary is much more important than generally believed, he is obliged to check carefully all documents and if they are not 100% correct, no contract at all, so the buyer is very protected. The standard agency fee, regardless of the type of property (commercial, residential, or land sales), is between 3% and 8%, and is usually shared between buyer and seller. The agency fee is payable at the signing of the preliminary contract. How landlord-friendly is the law in Italy? REGISTRATION TAX: 2% main home or 9% for non resident or second home.